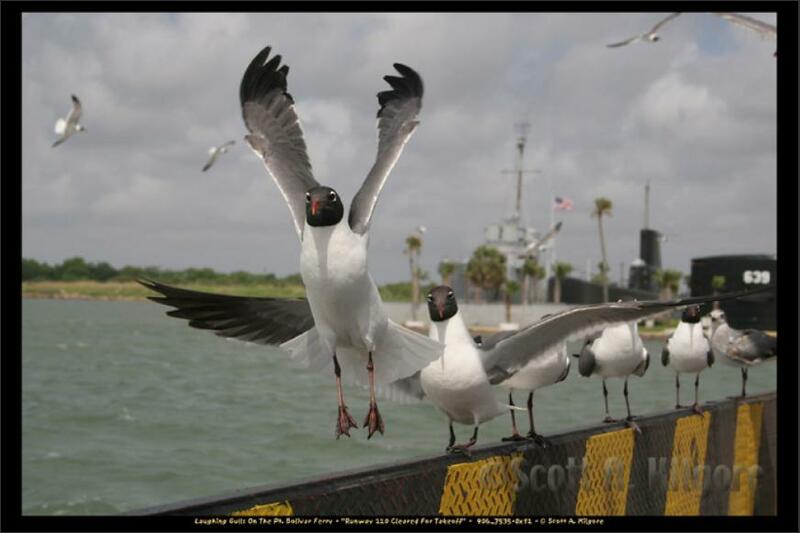 Called laughing gulls for a distinctive laugh like call, these rather entertaining shorebirds are common along the Gulf and Atlantic coast of the U.S. and Mexico. In the summer, they can be found as far north as Maine and as far west as the inner Baja California coast. Occasional strays can show up farther inland or farther north, particularly during the summer. In the early 20th century, laughing gulls were hunted to the point of the species being threatened due to the feather trade. Its remarkable comeback probably is due to a remarkably unrestricted diet and a bold, gregarious nature. These birds can be found plucking small fish from the ocean one minute, next cleaning some flotsam, small crab, or garbage from a beach or street, then pluck a bit of food from a person's hand (but only if invited). They can ride air currents behind ships for miles, waiting for food thrown overboard, or fish that boil up to the surface in the boat's wake. They can can be seen staking out brown pelicans for a stolen morsel, sometimes even being so bold as to perch right on top of a pelican's head. 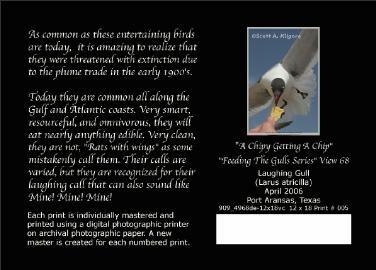 While some disparage them by calling them "rats with wings", these gulls deserve our respect and admiration. First, they are not rats with wings. They do not spread disease, yet they clean any edible trash from our beaches and coastal cities. We would actually be much 'trashier' without them. And what seaside community would be complete without their humorous calls and behavior. 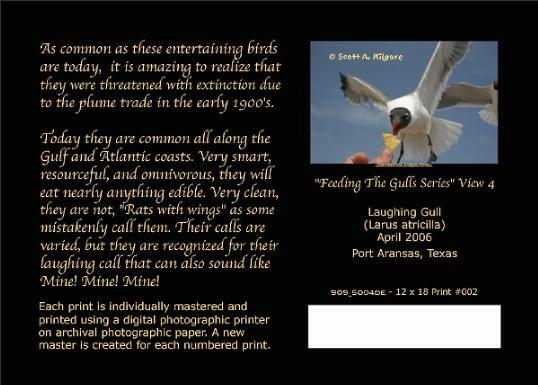 Friends along the Texas coast say it just wouldn't be the coast if they couldn't hear the laughing gulls. 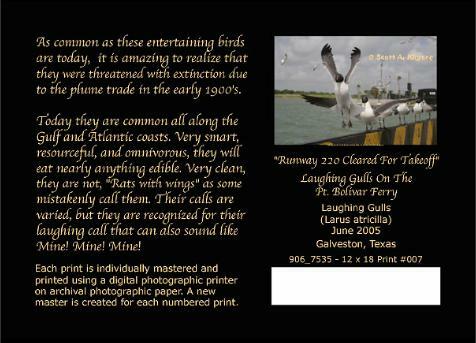 They are the background music of the Gulf. 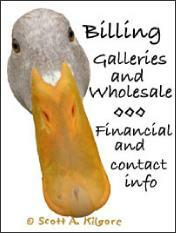 So, be nice to our wonderful little feathered friends. I can say that I have been around them for over 20 years, sometimes with hundreds flying over my head, and they can prove to be quite entertaining. Oh, and I know what you're thinking. I have never had one poop on me. 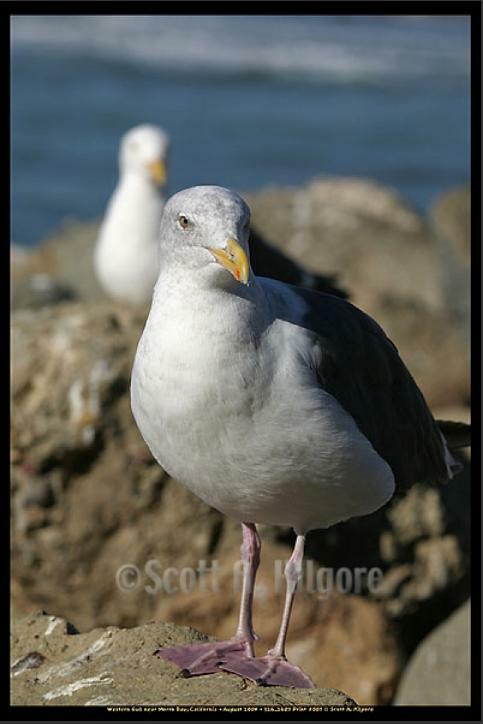 This unique series came about after spending a great deal of time around gulls, over many years, observing them, and very specifically NOT feeding them. I will state emphatically that I do not recommend feeding wild animals. We put out bird feeders at our house and sometimes feed over 20 species of birds there. These feeders and attractive plants can mean the difference between life and death for birds in the winter, or a drought, or on migration. I only relented on not feeding laughing gulls after I observed that even when people did feed them, it didn't change their other feeding behavior. That is, they still went fishing, chasing after ships, and pelicans, and dumpsters, and all those other opportunistic, omnivorous traits that have made them thrive since being nearly wiped out. I also noticed that I didn't ever need to feed them to get them close to me. I learned how to place myself in a position that allowed me and my car to act as protection from other humans, particularly the low individuals who like to drive or run right through groups of gulls and terns resting on the beach. (Gulls and terns have to rest to digest their food. Chasing them may be entaertaining for some, but it is the equivalent of coming into someone's living room and chasing them out with a baseball bat.) I found that the gulls would stay by me once they realized I was providing a safe place. 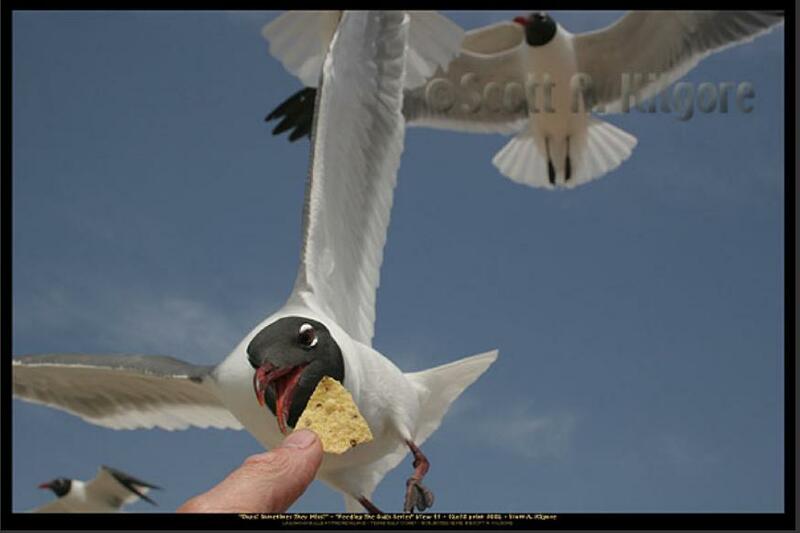 I only relented on my objections to feeding laughing gulls after I realized that it really had little effect upon their behavior. 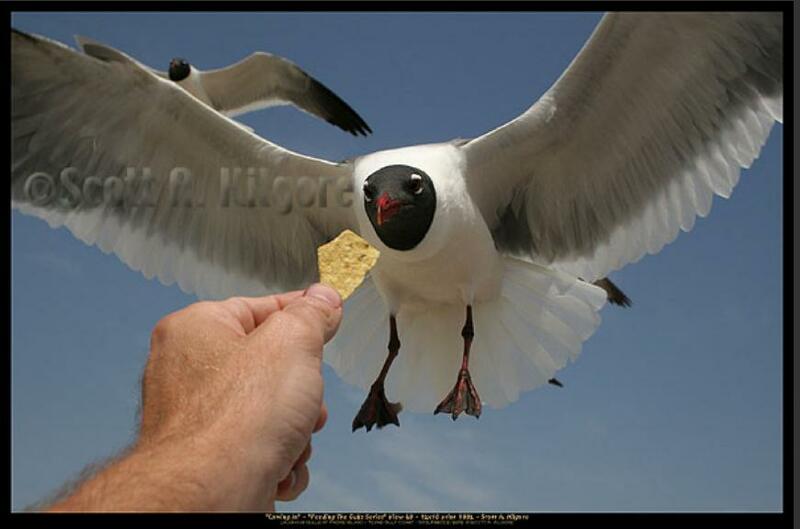 I have observed that many people will throw food up to large groups of gulls in the air. This is really bad for the gulls. 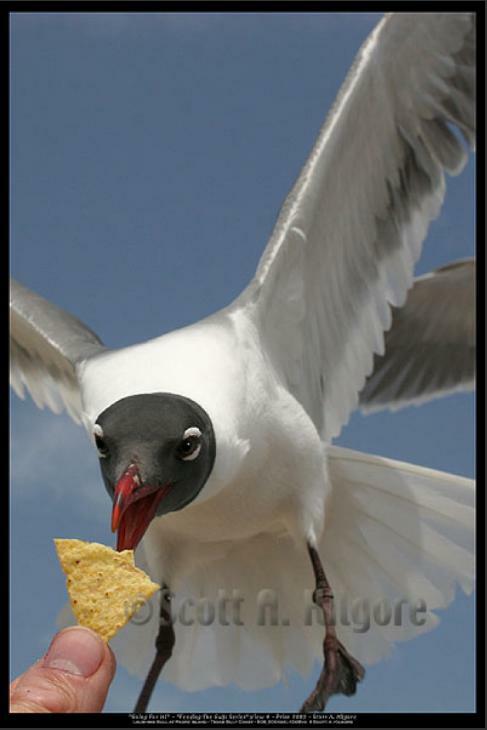 When food is thrown in the air, the gulls will fight over the food, and will actually attack each other violently. 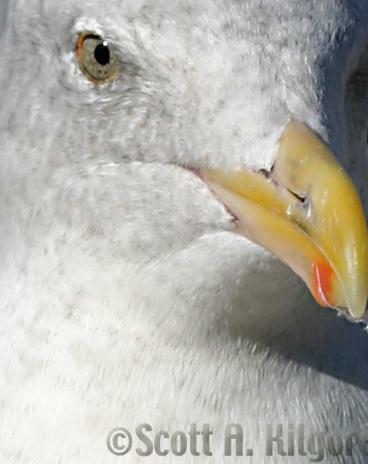 Gulls get hurt this way, particularly from midair collisions, fighting for the food. 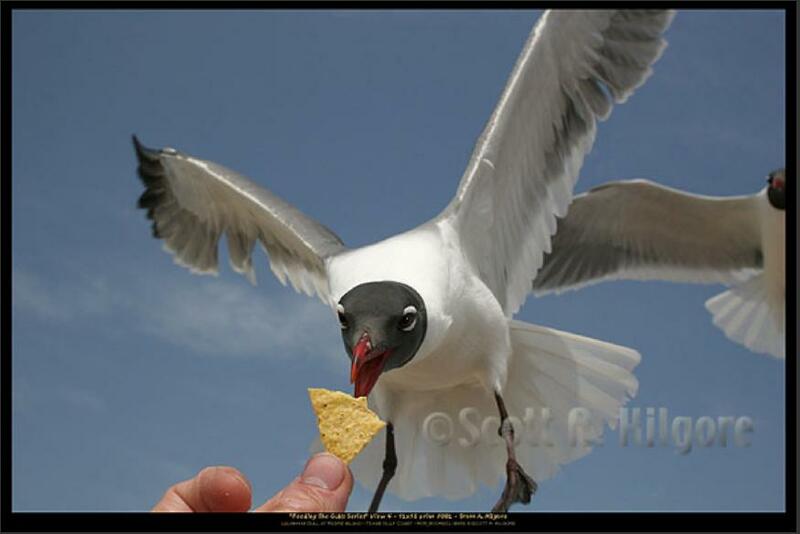 Therefore, if you are going to feed a gull, please only hand feed a gull by holding one chip or piece of bread up at a time. This cuts down on the fights. One gull will usually swoop in fast and grab the food and be off. (Warning: Sometimes they really do miss, but usually only if YOU move.) This also tends to reduce the amount of food given to the gulls. Gulls get plenty to eat. This should only be a treat. Actually, I consider it more entertaining for them than really a meal. They will still eat their normal diet, which is to say, darn near anything. Which brings up an important warning. 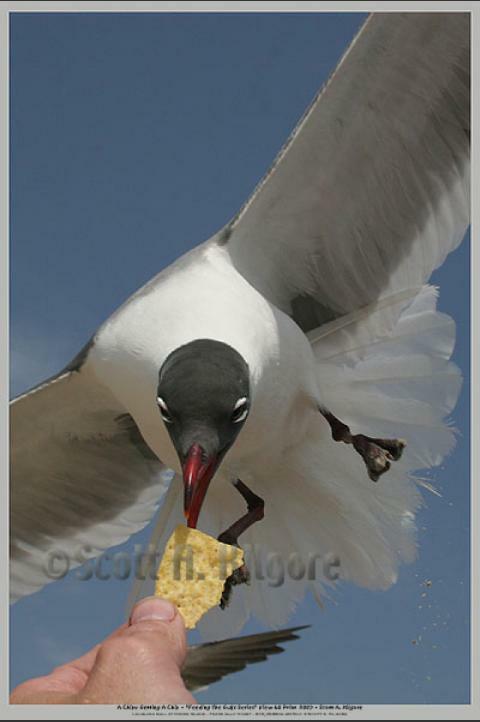 Please, Please, never feed gulls at a state or national park or wildlife refuge. This tends to encourage the gulls to hang out there. 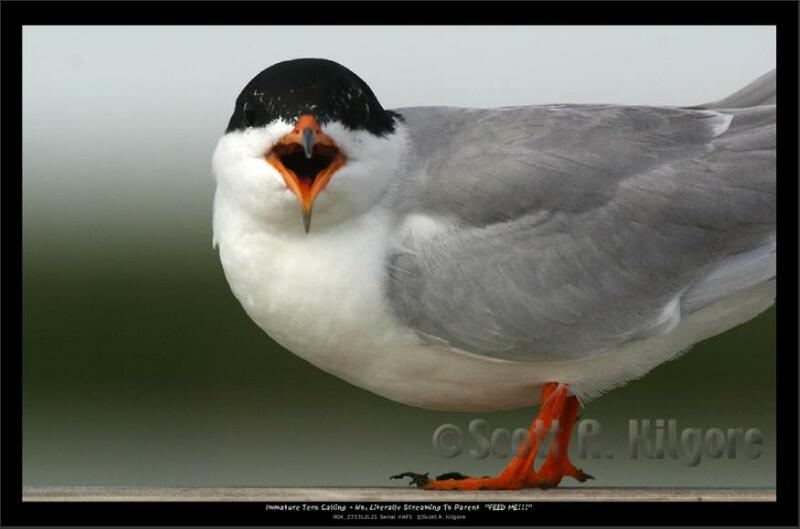 Which sounds all very nice, but laughing gulls regulaerly eat the eggs of other birds ...and notably, turtles. Since many nesting species, particularly turtles like the Kemps Ridley Sea turtle are endangered, laughing gulls are bad news anywhere near their nesting sites. 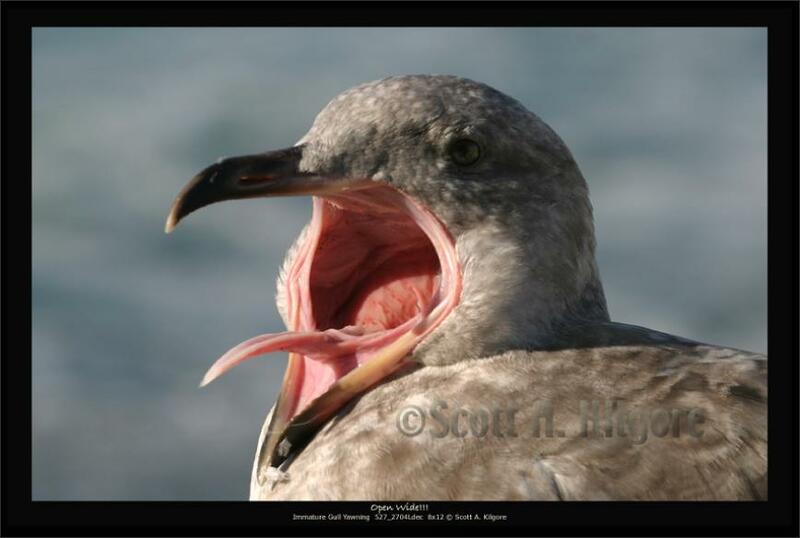 Therefore, only feed gulls at public beaches or ferries where it is permitted. Note that the I have not evaluated any of the "feeding The Gulls© Series images for 36 inch prints. Some will certainly be available. "A Chipy Getting A Chip"
Immature Tern Calling - No, Literally Screaming To Parent "FEED ME"!!!"